Armacost Psychological Society conducted an orientation for Psychology students. 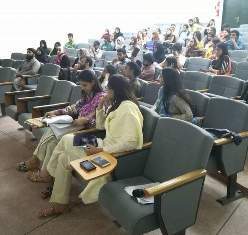 Lecturer in Psychology Department, Nazia Asif was the main speaker for the event. She briefed everyone about the major and minor core courses that are necessary to be taken. Faculty of Psychology Department was introduced with the courses they teach. 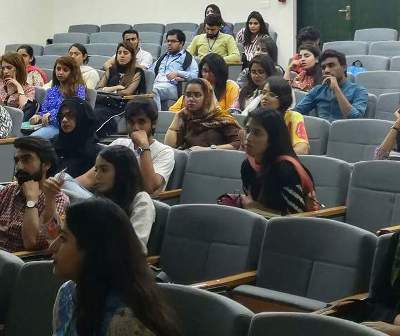 Assistant Professor of Psychology, Dr Elizabeth Maria Schwaiger and Lecturer, Khadija Malik were also present at the orientation. Ms Nazia answered all the questions of the students. 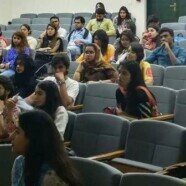 The session helped freshmen students to interact with the seniors and get knowledge about psychology major.